In this research article, the performance metrics (Performance Ratio, Capacity Utilisation Factor and System efficiency) of Grid connected solar plants are defined and significance of each metric is discussed thoroughly. The performance metrics of 120kWp on the rooftop of PG Block and 20kWp on the rooftop of Library block, which are commissioned in CVR College of Engineering are calculated and analyzed for a period of one year. In this research work more emphasise is given to three performance metrics namely Capacity Utilization Factor (CUF), Performance Ratio (PR) and System Efficiency (SE). The calculated results of Performance metrics reveal that performance of both power plants are almost similar to one another in maximum number of months in an year with slight change in their values and for few months their values are much deviated from one another. Exact reasons are investigated for this sort of performance. The calculated values of Performance Metrics of both these plants are well above the solar industry standards and can compete with values of Megawatt scale PV plants. Energy scarcity is the one of the prime issue in our day to day life. Energy is a key strategic commodity and any uncertainty about its supply can threatens the entire economy of developing countries like India. Solar energy is the core energy of all the renewable sources of energies on the earth. All most every part of India has abundant amount of solar energy throughout the year with an average of 300 sunny days. Hence this non polluting, freely available, renewable solar energy can be critical solution to energy scarcity in the country. This energy can be used either direct or indirect to meet the energy requirements of people especially living in rural and remote area in various ways and methodologies [1–4]. One of the best way to capture energy from the sun is using Photo-Voltaic effect. In this method photons are directly converted in to DC electrical energy using the device known as Solar Cell. The basic solar cell produces a very little amount of electrical power. To produce moderate power all these solar cells are interconnected to form a solar Modules and arrays to meet the power requirements. Several solar panels can be installed on a rooftop of a building to form PV array to full fill local energy demands. Hundreds and thousands of solar arrays are interconnected for industrial requirements or large scale electrical utility. On the basis of working operation, PV systems can be classified in to: Standalone Systems, Grid Connected PV Systems, and Grid Tied with Battery Backup PV system and Hybrid Systems. Grid connected PV systems are very expensive and their design is complicate. The performance of these plants depends upon lot of parameters. Energy generation from the commissioned Solar PV plants have to be monitored properly for better utilization of plant and resources [5–8]. This can’t be achieved easily by considering the quantity of energy generated from the plant every day. It is a well known fact that Output of solar plant depends upon the amount of solar radiation that falls on effective surface area of Solar PV array. This solar radiation will not be same throughout the year. It is quite more in summer, less in winter and almost zero in monsoon season. So, justifying the performance of the plant based on the amount of electrical energy is not hypothetical. Hence, to analyze the performance of PV plants, few major performance metrics are defined by the solar industry experts namely, Performance Ratio (PR), Capacity Utilization Factor (CUF) and System Efficiency (SE) [9–15]. In this research work, the performance metrics of Grid connected solar plants are defined and significance of each metric is discussed systematically. The organization of this research paper is: Chapter 2 discusses the operation of Grid connected solar plant and various factors that will influence the performance of the grid tied PV plants. Chapter 3 and 4 describe the weather conditions and solar radiation values at the site and configuration of the grid connected plant under study. Chapter 5 clearly discusses the performance metrics of Grid connected plant viz. PR and CUF in detail. Chapter 6 analyzes the Plant performance using these metrics fallowed by conclusion and references. The block diagram of Grid connected PV plant with metering is shown in Figure 1. These systems are connected to Utility Grid using a high quality intelligent sine wave inverters, which converts DC electrical power generated from the solar array into three-phase AC power. During the day time, the AC electrical energy generated by the system is either used for local loads or feed to grid. 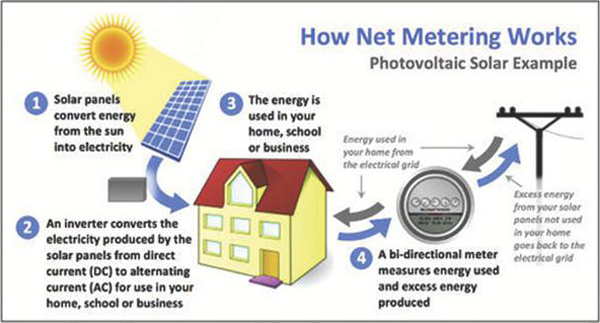 In the evening the PV System is unable to generate electrical power then electricity can be taken from the grid. Figure 1 Grid connected solar PV plant with net-metering. There are mainly two types of grid tied systems, one without battery and another is with battery. Grid connected systems without battery consist of two main components: a solar PV array and a grid-connect inverter. If the utility grid fails, the solar PV array fails to provide power as the inverter automatically disconnects from the utility grid since the reference voltage unavailable for the inverter in absence of grid. Grid-tied systems with battery backup also have an array and a grid-tied inverter along with charge controller. Systems with battery bank can provide power in the event of electricity (utility) grid failure. The grid connected roof top solar PV system has the benefits of Reduction in electrical energy consumption from the grid, Reduction in diesel consumption wherever DG backup is provided and Feeding excess power to the grid to full fill the large scale energy demand of industries or institutions. With this most of the utilities prefers grid connected solar PV system, where there is an availability of grid and diesel generator as backup for electrical energy [6, 7]. Factors that influence the performance of Grid Connected PV systems are Solar Insolation/Radiation/Irradiation value, shadow effect, temperature effects, Effect of climate, Wind speed, Electrical load matching, Dust on panels, Accurate MPPT operation and Various losses that are occurring in the system like Array capture losses, Soil losses, Inverter losses, etc. To understand solar PV module performance and characteristics we need to identify the parameters whose influence is more predominating on the output of PV module. 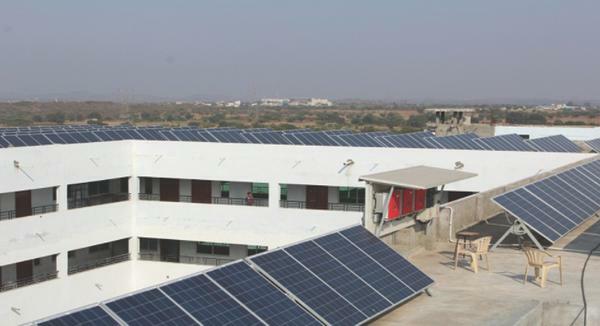 The grid connected solar power plant under performance study is commissioned on roof top of the CVR College of Engineering, Hyderabad. The site coordinates are Latitude: 17.20 °N, Longitude: 78.60 °E. The altitude of the site is 545 Meters above the sea level. The weather condition at the project location is a moderate climate throughout the year. It has a unique combination of tropical wet and dry climate that borders on a hot dry climate. The climate is pleasant between October and February. March to May months can be uncomfortable due to heavy heat. In the period of July to September, the weather is warm and humid. The average low temperature is 15.3∘C in the month of December and hottest temperature is in the month of May with 39.43∘C. The highest average wind speed of 10 mph (gentle breeze) occurs around June. The lowest average wind speed of 3 mph (light air) occurs around December. The average global horizontal radiation (GHI) is 5.77 kWh/m2/day according to NASA. 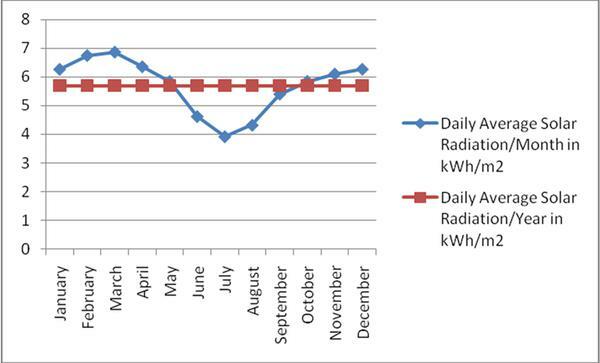 Figure 2 shows the Arial View of Grid connected Solar PV Plant at CVR College of Engineering and Figure 3 shows the Daily Average Solar Radiation of the month Vs Average Daily Solar Radiation of the Year 2016. Table 1 and 2 gives the Month wise Average Global Horizontal Radiation, Ambient Temperature, Global Incident in college plane and Effective Global radiation and Monthly average solar radiation per day in kWh/m2. Figure 2 Arial view of grid connected solar PV plant -CVR college of engineering. Figure 3 Graphs showing daily average solar radiation of the month Vs average daily solar radiation of the year 2016. The capacity of Grid tied solar plant on rooftop of each block in CVR College of Engineering is tabulated in Table 3 including the commercial dates of operation to their full capacities. The important electrical components of the grid interactive solar PV plants include: Solar PV Array, DC Cables, Grid tied Inverter, AC Cables, Junction Boxes, Switchgear Equipment, Net-Meter, Lighting Arrestors and all the components used in PV plants are met IEC 61724 standards for MNRE approval. Apart from the above, Earthing at proper locations also be done for mounting structures and Junction boxes [16, 17]. Solar PV array is interconnection of various solar modules either in series/ parallel depending upon system configuration. The module supplied by Kohima Energy Pvt. Ltd. Model number of the Solar PV module is KE-60-M250, whose maximum electrical power generation capacity of 250W at STC conditions. (25∘C, 1000 W/m2 Insolation, Air mass ratio as 1.5). The complete module specifications are tabulated below . Figure 4 shows the Solar Array picture taken at the sight location and Figure 4 shows the Plant Layout with Power flow diagram of 120kWp -PV Plant on PG Block. The modules are tilted about 22o with respect to horizontal facing true south. All the solar modules are mounted on metallic frames on the rooftop. The complete array is shown in the figure. Solar Panels are the devices that convert the photon energy of the solar radiation into DC electricity with photo-Voltaic effect.The Specifications of Solar Module Kohima Energy Pvt. Ltd. -KE-60-M250 are given in Table 4. Figure 4 Grid connected solar PV plant on EEE block of CVR college of engineering. 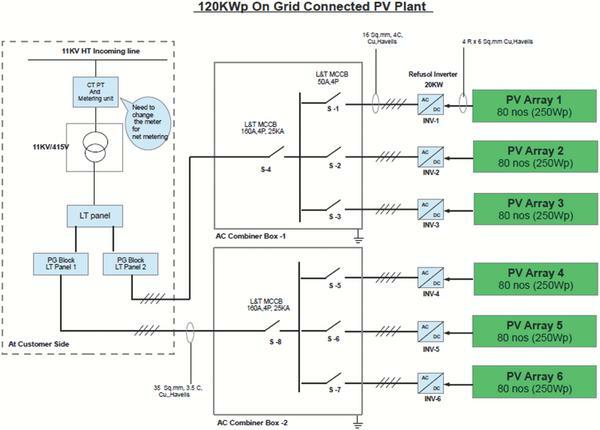 Figure 5 Plant layout with power flow diagram of 120kWp -PV plant on PG block. The denominator term consists of GHI, Module efficiency, Active PV area. GHI of any location depends upon many factors like shading, temperature of the cell, soil losses, weather conditions, tilt of the panels etc. Hence calculation of PR takes all the above factors into consideration. Therefore the influence of all the above parameters can be considered in Performance Ratio evaluation [20–27]. If the value of the PR is near to the 100%, the respective PV plant is operating very efficiently. Performance ratio gives the idea about how efficiently incident in-plane solar energy is converted into AC electrical energy at the grid. PR is the best metric to compare the performance of various plants at different locations independent of weather and climate conditions. Deviations from the expected PR indicate either fault or problem in the solar PV plant. PR can be calculated typically for an year. To understand the performance of the plant according to the seasonal variations, monthly PR can also be calculated. The average value of the irradiation values measured by the sensor must be determined for the interested period. The IEC 61724 also mentions the measurement of wind speeds, ambient temperature and module temperature. These are not needed for calculation, but can be considered as optional values for analyzing the plant performance. Define the analysis period (Optimum analysis period is one year) One month, if we want to study seasonal variations on the plant output. The solar PV generator active area has to be calculated. Collect the PV module efficiency from the datasheets. Plant AC electrical energy output. In-plane Solar radiation values by the irradiance sensor (Pyranometer). The factors that can influence the PR value are Site specific factors such as Temperature of the PV module, Pyranometer is shaded or soiled and PV panels are shaded or soiled. Other factors which includes Measuring period, Conduction losses, Efficiency of the PV modules, Efficiency of the inverter and Degradation of solar Cells. Every term in denominator of CUF is constant. It doesn’t consider any change in the weather condition, temperature, tilt etc. So CUF is not a better metric to evaluate the performance of the plant. PR is a worldwide accepted standard for measuring the performance of a PV plant’s performance. Sometimes investors or developers talk about the Capacity Utilization Factor (CUF) and want to compare the plant’s performance based on this indicator. The CUF does not take into account any environmental factor like variation on irradiance from one year to another nor does it take into account the de-rating or degradation of the panels. Therefore it is not convinced that the CUF is a good tool to provide insights into a solar PV system. So one side PR is a measure for the performance of a PV system taking into account environmental factors (temperature, irradiation, etc.) and on the other side is CUF that completely ignores all these factors. PR can be used as a tool to compare different solar PV systems with each other even if they are located at different locations since all environmental factors will be taken into account. Therefore only the design and the ability of the system to convert solar energy into electrical energy will be compared with each other. System Efficiency is the metric which describes the plant performance by taking each and every parameter into consideration. It describes how much percentage of incoming solar radiation is getting converted into electrical energy, thus it talks about overall efficiency. System efficiency is calculated by using the formula, shown byEquation (3). To calculate for a month replace the year with monthly parameters. This Grid-connected rooftop Solar PV plant has only one radiation sensor placed on the rooftop of PG Block. This radiation sensor is placed on the mounting structure of the 120kWp Solar PV array, so that it can measure the exact in-plane solar radiation value for that tilt angle. Library block has also one more seasonal tilt power plant of capacity 20kWp. The assumption here considered is, both plants are receiving the same amount of solar radiation values as both plants are at the same tilt angle and geographically they are just side by side. But practically there will be deviations in the amount of solar radiation values that each plant is receiving. The Table 5 shows the Month-wise AC Energy Output of 120kWp PV Plant on rooftop of PG Block and as well as the Month-wise AC Energy Output of 20kWp PV Plant on rooftop of Library Block. The highest energy is produced in the month of November where as lowest is in the month of June. The yearly monthly average energy produced is 13701.47 kWh. The highest energy produced by Library Block is in the month of March where as lowest is in the month of September and the yearly monthly average energy produced is 2418.72 kWh. The Figure 6 shows the Chart representation of the AC electrical energy supplied by the PV Plant at PCC and Figure 7 shows the Monthly Energy generated by PG Block in kWh Vs Monthly Average Energy in kWh produced for the year 2016. 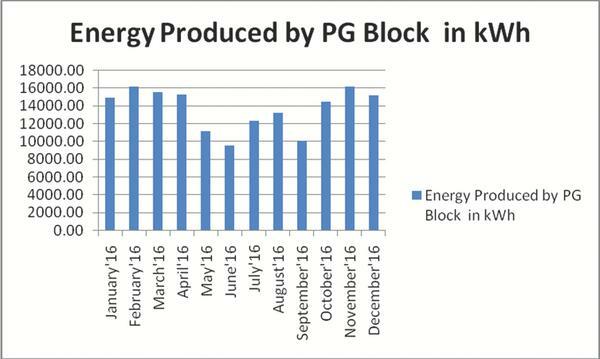 Figure 6 Chart representing monthly energy generated by PG block in kWh for the year 2016. Figure 7 Graphs representing monthly energy generated by PG block in kWh Vs average energy produced for the year 2016. The Figure 8 shows the Chart representation of the AC electrical energy supplied by the PV Plant at PCC. Similarly Figure 9 shows the Monthly Energy generated by Library Block in kWh Vs Monthly Average Energy in kWh produced for the year 2016. 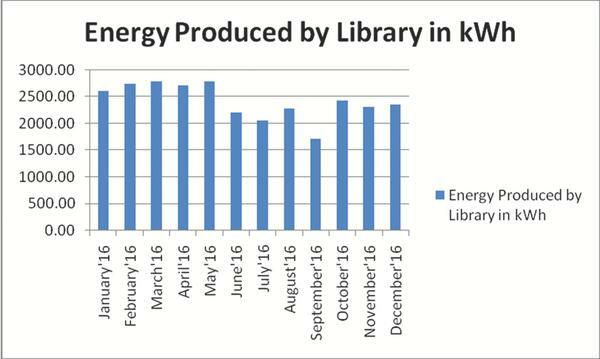 Figure 8 Chart representing monthly energy generated by library block in kWh for the year 2016. 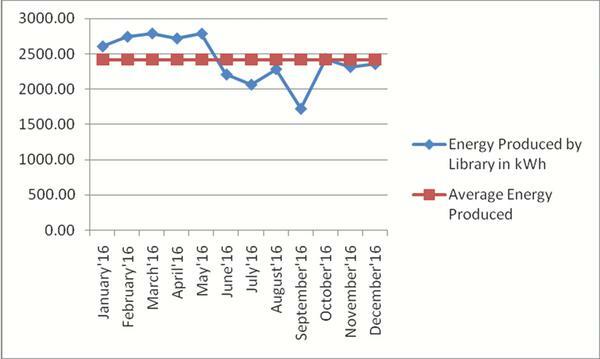 Figure 9 Graphs representing monthly energy generated by library block in kWh Vs average energy produced for the year 2016. The Table 6 shows the calculated values of the Monthly Performance Ratio of PG Block in Percentage for the year 2016. PR is maximum in the month of July and minimum in the month of May for the year 2016. 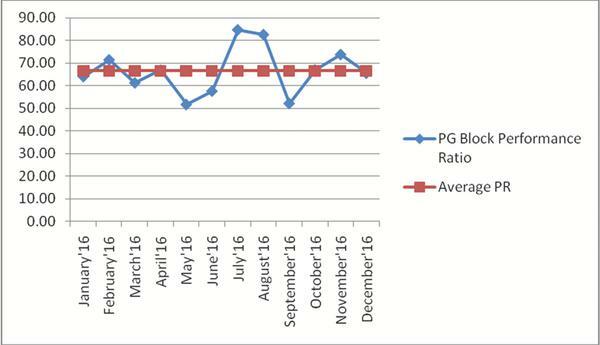 Figure 10 Shows the Chart representation of Monthly Performance Ratio of PG Block in Percentage for the year 2016. Figure 11 represents the Monthly Performance Ratio of PG Block Vs Monthly Average PR in Percentage for the year 2016. The Table 7 shows the calculated values of the Monthly Performance Ratio of Library Block in Percentage for the year 2016. PR is maximum in the month of July, August and minimum in the month of September for the year 2016. 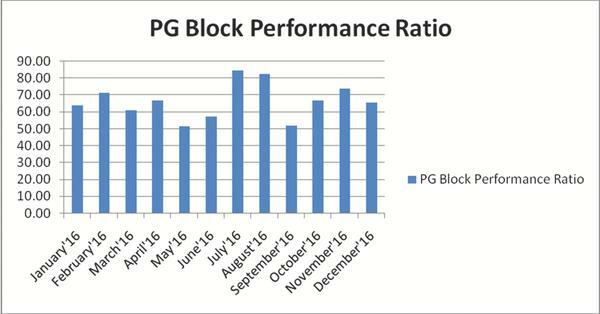 Figure 10 Chart representing monthly performance ratio of PG block in percentage for the year 2016. Figure 11 Chart representing monthly performance ratio of PG block Vs monthly average PR in percentage for the year 2016. Figure 12 Shows the Chart representation of Monthly Performance Ratio of Library Block in Percentage for the year 2016. 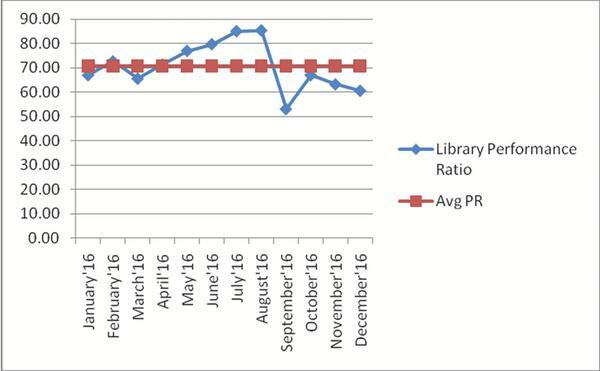 Figure 13 represents the Monthly Performance Ratio of Library Block Vs Monthly Average PR in Percentage for the year 2016. 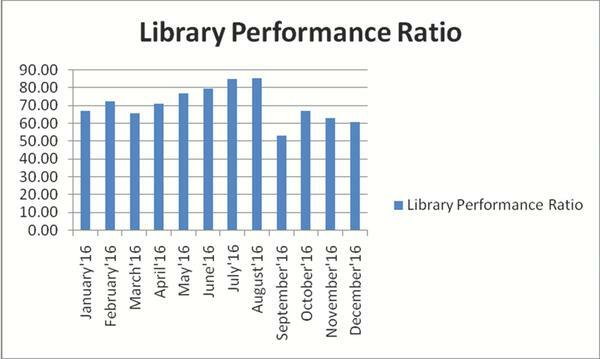 Figure 12 Chart representing monthly performance ratio of library block in percentage for the year 2016. 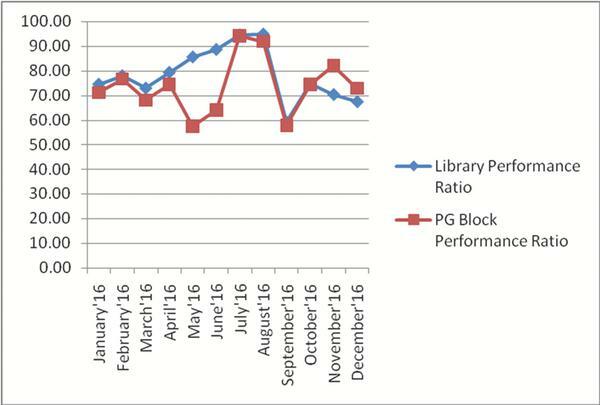 Figure 13 Chart representing monthly performance ratio Vs average performance ratio of library block in percentage for the year 2016. Table 8 shows the comparison of the month wise PR for the both plants along with their monthly average. Overall in this year PR of Library block isslightly better when compared to PG block. In the months of May and June PR’s of Library block are much better than PR’s of PG block. The reason is in the months of May and June two inverters of PG block are out of service as they have some technical problem. The problem in the inverter was observed in the earlier days of the months of May. One inverter is sent in the month of May and another in June. Though the radiation falling on the both plants is same, as inverters are out of service in PG block, the calculated PR’s of PG block are less in these months. Another important observation from this comparison is the PR values of both the plants are very less in the month of September due to heavy rains, resulted in poor availability of the utility grid at the site. This way the PR gives a better idea about performance of the plant. Figure 14 Graphs representing the comparison of library block monthly PR Vs PG block monthly PR. The Table 9 shows the calculated values of the Monthly Capacity Utilisation Factor of PG Block and Library Block in Percentage for the year 2016. CUF is maximum in the month of February and minimum in the month of June for the year 2016. From the table, we can observe that plant CUF is directly proportional to energy produced during that period. The denominator term ofCUF is almost constant, it doesn’t take the account of all the weather and other conditions as discussed earlier. 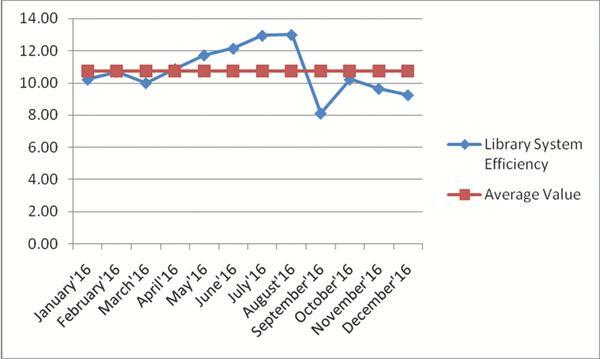 Figure 15 Shows the Chart representation of Monthly CUF of PG Block in Percentage for the year 2016. Figure 16 represents the Monthly CUF of PG Block Vs Monthly Average CUF in Percentage for the year 2016. 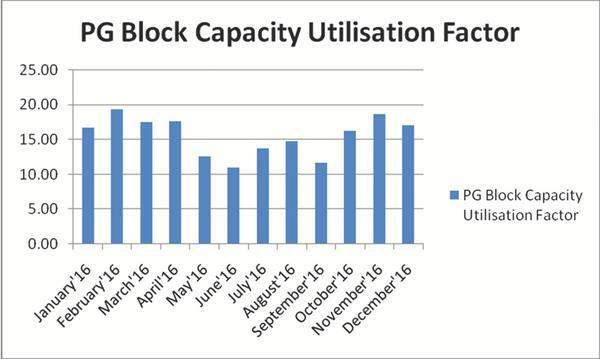 Figure 15 Charts representing monthly capacity utilisation factor of PG block in percentage for the year 2016. 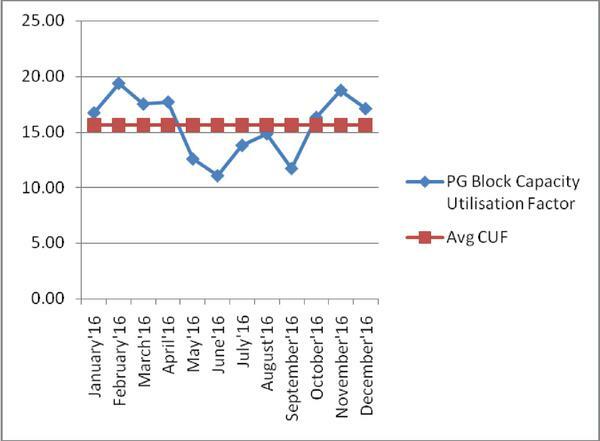 Figure 16 Graphs representing monthly capacity utilisation factor of PG block in percentage Vs average CUF of PG block for the year 2016. Figure 17 Shows the Chart representation of Monthly CUF of Library Block in Percentage for the year 2016. Figure 18 represents the Monthly CUF of PG Block Vs Monthly Average CUF in Percentage for the year 2016.Figure 19 shows the graphical representation of comparision of monthly CUF for both the plants. 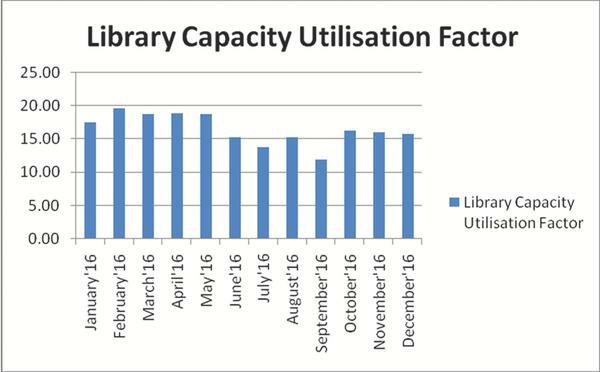 Figure 17 Graphs representing monthly capacity utilisation factor of library block in percentage Vs average CUF of library block for the year 2016. 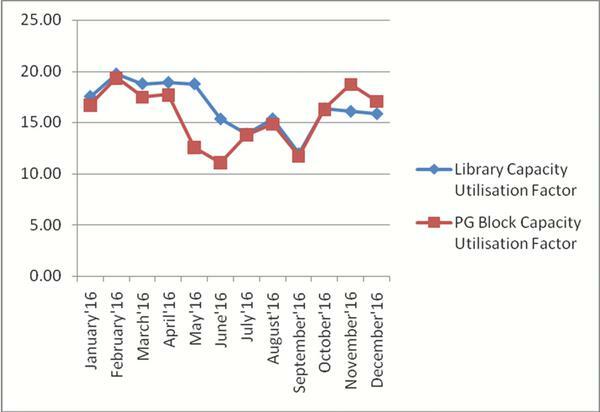 Figure 18 Graphs representing monthly capacity utilisation factor of library block in percentage Vs average CUF of PG block for the year 2016. Figure 19 Graphs representing the comparison of library monthly CUF Vs PG block monthly CUF. The Table 10 shows the calculated values of the Monthly System Efficiency of PG Block in Percentage for the year 2016. Monthly System Efficiency is maximum in the month of July and August and minimum in the month of May and September for the year 2016. From the table, we can examine that System efficiency takes into account of how much percentage of incident Solar radiation is getting converted into useful AC electrical energy. We can conclude that in the month of July and August system works excellently by converting the solar radiation into electrical energy by minimising all the losses. During these two months there will be frequent mansoons along with moderate ampont of Solar energy. Panels will be cleaned by rain and system thermal and capture losses are less as temparature of the site nad modules will be moderately good. It will be more beneficial if rains occure after sunset and before sunrise. 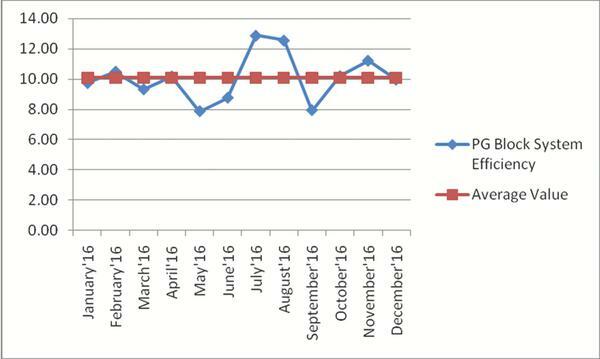 Figure 20 Shows the Chart representation of Monthly System efficiency of PG Block in Percentage for the year 2016. Figure 21 represents the Monthly System Efficiency of PG Block Vs Monthly Average System Efficiency in Percentage for the year 2016. 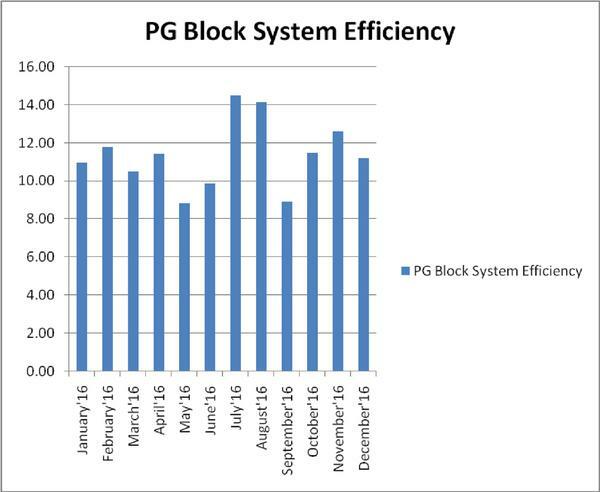 Figure 20 Chart representing monthly system efficiency of PG block in percentage for the year 2016. 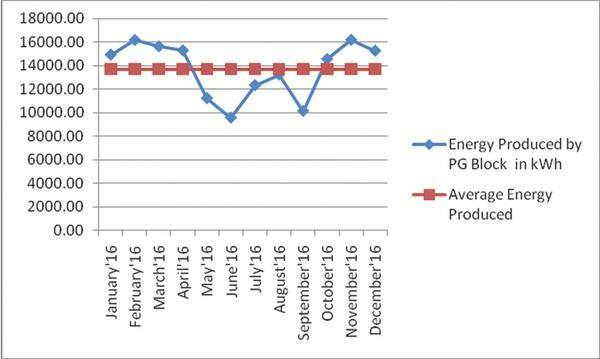 Figure 21 Graph representing monthly system efficiency of PG block Vs average monthly average efficiency in an year for the year 2016. The Table 11 shows the calculated values of the Monthly System Efficiency of library Block in Percentage for the year 2016. Monthly System Efficiency is maximum in the month of July and August and minimum in the month of September for the year 2016. 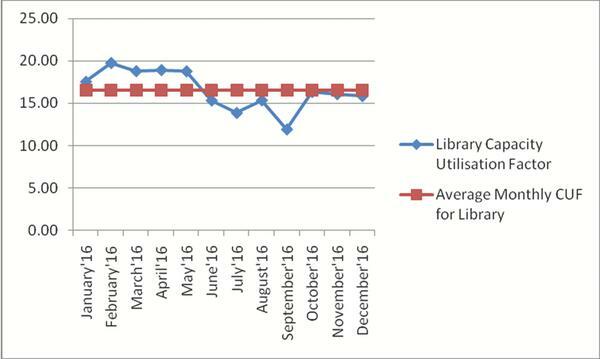 Figure 22 Shows the Chart representation of Monthly Ssytem efficiency of library Block in Percentage for the year 2016. Figure 23 represents the Monthly System Efficiency of library Block Vs Monthly Average System Efficiency in Percentage for the year 2016. Figure 24 shows the graphical representation of comparision of monthly System Efficiencies for the both plants. 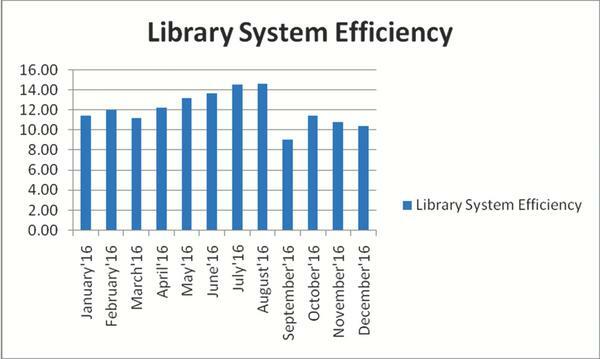 Figure 22 Chart representing monthly system efficiency of library block in percentage for the year 2016. Figure 23 Graphs representing monthly system efficiency Vs average monthly system efficiency of library. 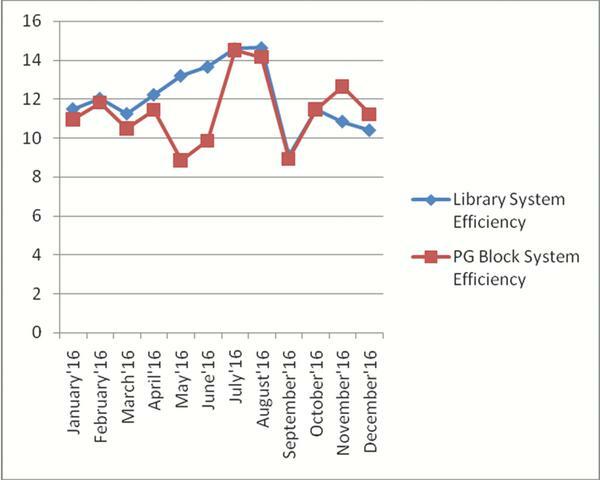 Figure 24 Graphs representing monthly system efficiency of library Vs monthly system efficiency of PG block. In this research paper the performance metrics (Performance Ratio, Capacity Utilisation Factor and System efficiency) of grid connected solar plants are calculated and discussed in detail with the practical values obtained from power plants established in the CVR College of Engineering and further the comparison between PR and CUF is obtained graphically. Out of the three performance metrics, Performance ratio and System Efficiency are observed to be perfect metrics to estimate the system performance accurately. The performance metrics of two different capacities of grid connected solar PV plants on the rooftop of the CVR College of Engineering are calculated and analyzed. Though both plants are at same site, their performance metrics deviated much from one another in few months. The reasons for these kinds of results are discussed in detailed and identified the exact reasons. For this research work Single axis and Polar tracking power plants are used. The overall performances of both plants are well above the Solar PV industry standards. The authors are very much thankful to the Principal and the management of CVR College of Engineering for commissioning grid connected Rooftop Solar Power Plant to access the data through web interface. Razykov, T. M., Ferekides, C. S., Morel, D., Stefanakos, E., Ullal, H. S., Upadhyaya, H. M. (2011). Solar photovoltaic electricity: current status and future prospects. Sol. Energy 85, 1580–1608. Chetan, S. (2010). Solanki-Solar PV Energy for Academic Campuses in India—A White Paper Department of Energy Science and Engineering IIT Bombay Oct 2010. Mumbai: IIT Bombay. Chetan, S. S. (2011). Solar Photovoltaic: Fundamentals, Technologies and Application. Delhi: PHI Learning Pvt. Sukhatme and Nayak. (2008). Solar Energy: Principles of Thermal Collection and Storage. Chennai: Tata McGraw-Hill Education. Decker, B., Jahn, U. (1997). Solar Energy Performance of 170 grid-connected PV plants in Northern-Germany – Analysis of Yields and optimization potentials. Sol. Energy 59, 127–133. Sidrach-de-Cardona, M., Mora Lopez, I. L. (1999). Performance analysis of a grid-connected photovoltaic system. Energy 24, 93–102. Ali Hajiah, T. K., Sopian, K., Sebzali1, M. (2012). Performance of grid-connected photovoltaic system in two sites in Kuwait. Kuwait: Kuwait Institute for Scientific Research (KISR). Elhodeiby, S., Metwally, H. M. B., and Farahat, M. A. (2011). “Performance Analysis of 3.6 kW Rooftop Grid Connected Photovoltaic System in Egypt,” in Proceedings of International Conference on Energy Systems and Technologies (ICEST 2011), Cairo, 151–157. Singh, S., Kumar, R., and Vijay, V. (2014). “Performance analysis of 58 kW grid-connected roof-top solar PV system,” Proceedings of the Power India International 6th IEEE Conference (PIICON), 2014, Delhi, 1–6. Yan, S., Lai-Cheong, C., Lianjie, S., and Kwok-Leung, T. (2012). Real-time prediction models for output power and efficiency of grid-connected solar photovoltaic systems. Appl. Energy 93, 319–326. Kim. J. Y., Geon, C. Y., Hong, W. H. (2009). The performance and economic analysis of grid-connected photovoltaic systems in Daegu, Korea. Appl. Energy 86, 265–272. Al-Sabounchi, A. M., Yalyali, S. A., and Al-Thani, H. A. (2013). Design and performance evaluation of a photovoltaic grid-connected system in hot weather conditions. Renew. Energy 53, 71–78. IEC (1998). Photovoltaic System Performance Monitoring Guidelines for Measurement, Data Exchange and Analysis. IEC Standard 61724. Geneva: International Electrotechnical Commission. Whitepaper on PR vs. CUF provided by CHROSIS Sustainable Solutions. Watjanatepin, N., and Boonmee, C. (2008). “A Four Years Performance Study of the 5 kWp Photovoltaic Systems Connected to the Utility Grid of Thailand,” in Proceeding of the 3rd International Solar Cities Congress Conference, Adelaide, SA, 17–21. King, D. L., Kratochvil, J. A., and Boyson, W. E., (1997). “Temperature Coefficients for PV Modules and Arrays: Measurement Methods, Difficulties, and Results,” in Proceedings of the 26th IEEE Photovoltaic Specialists Conference, September 29–October 3, Anaheim, CA, 1183–1186. Padmavathi, K., and Daniel, S. A. (2013). Performance analysis of a 3 MWp grid connected solar photovoltaic power plant in India. Energy Sustain. Dev. 17, 615–625. Kumar, B. S., Sudhakar, K. (2015). Performance of evaluation of 10MW grid connected Photovoltaic power plant in India. Energy Rep. 1, 184–192. Shukla, A. K., Sudhakar, K., and Baredar, P. (2016a). Simulation and performance analysis of 110 kWp grid-connected photovoltaic system for residential building in India: a comparative analysis of various PV technology. Energy Rep. 2, 82–88. Shukla, A. K., Sudhakar, K., and Baredar, P. (2016b). Design, simulation and economic analysis of standalone roof top solar PV system in India. Sol. Energy 136, 437–449. Attari, K., Yaakoubi, A., and Asselman, A. (2017). “Comparative Performance Investigation between Photo-voltaic Systems from two different cities,” in Proceedings of the 10th International Conference Interdisciplinary in Engineering, Proceeding Engineering (Amsterdam: Elsevier), 810–817. 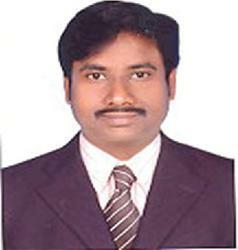 P. Rajesh Kumar has been awarded B.Tech degree in Electrical & Electronics Engineering from JNTU Hyderabad, India and M.E. degree in Power Systems from Osmania University Hyderabad, India in 2002 and 2005 respectively. At Present he is working as Associate Professor in CVR College of Engineering, Hyderabad. His area of research interest includes Renewable Energy sources and Power Quality Issues. D. Koteswara Raju has been awarded B.Tech degree in Electrical & Electronics Engineering from JNTU Hyderabad, India, M.Tech degree in Power System Engineering from Acharya Nagarjuna University (ANU), India and Ph.D. degree from Visvesvaraya National Institute of Technology (VNIT), Nagpur, India in 2006, 2009 and 2017 respectively. He has been with RVR & JC College of Engineering and Gudlavalleru Engineering College as Assistant Professor during 2009–2014. 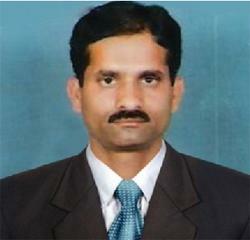 At Present he is working as Associate Professor in CVR College of Engineering, Hyderabad. His area of research interest includes Power System protection, operation and control. He is recognized reviewer for various SCI Journals like IEEE, Elsevier, Springer’s and etc. Rajib Kumar Kar has been awarded B.Tech degree in Electrical Engineering from Institute of Engineers Calcutta, India and M.Tech degree in Power System from Punjab University, India in 1993 and 1996 respectively. He has been with Indian Air Force as Technical Officer during 1986–2006. 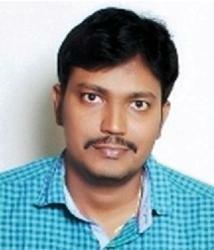 At Present he is working as Senior Assistant Professor in CVR College of Engineering, Hyderabad. His area of research interest includes Power System operation and control. 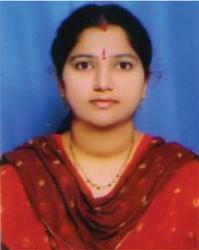 V. Vimala Devi has been awarded B.Tech degree in Electrical & Electronics Engineering from JNTU Hyderabad, India and M.E. degree in Industrial Drives and Control from Osmania University Hyderabad, India in 2004 and 2012 respectively. She has been with Bharat Institute of Engineering and Technology, Hyderabad as Assistant Professor during 2006–2010. At Present she is working as Senior Assistant Professor in CVR College of Engineering, Hyderabad. Her area of research interest includes Power System operation and control. Journal of Green Engineering, Vol. 7, 99–128.